Shepard Insurance Agency is proud to support the Michael Hoefflin Foundation for Children's Cancer this year. From its headquarters in Santa Clarita, the Foundation reaches out to local parents and children battling cancer in hospitals throughout Southern California. Foundation staff and volunteers meet practical needs, provide emotional support and fund research on promising treatments. What makes all this possible is a dedicated fund-raising effort. The Foundation's most important event is their annual "Evening Under the Stars Gala." Shepard Insurance helped sponsor this year's installment on September 6. More than $400,000 was raised to further the Foundation's work. The willingness to make a difference exhibited by everyone who attended was truly inspiring, and we are proud to help this special organization expand its reach and impact. We've rolled out a new referral program that lets you help friends and family save money on insurance and improve their coverage. "Fast Lane to $50" works like this: You send your friends or family members our way. We do a free, no-obligation evaluation of their current insurance. They find out whether we can get them better coverage, lower premiums, or both. To make a referral, call (818) 508-9925 or (661) 902-0360. Or, click here to submit names and contact information and we'll do the rest. 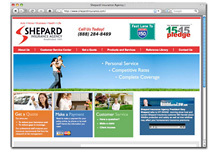 We're calling it the "extreme web makeover," but we know you'll call the new Shepard Insurance Agency website helpful, informative and easy to use. launched last month. We've already heard kudos from clients who were pleasantly surprised when they went to our site and discovered a whole new look, along with some useful new features. Online payments, claim information, and commonly used forms are right there at your digital fingertips. The Reference Library contains back issues of this newsletter, along with loads of other helpful information. And, getting a quote has never been easier. We all know the law tells us our young children have to ride in car seats. What we don't always know, however, is whether these important pieces of safety equipment are installed in our cars the way they should be. That's why Shepard Insurance Agency will have a certified car seat installation specialist on-hand at its booth during the SCV Child and Family Kid Expo to help parents learn how to properly secure their children's car seats. Statistics show that 7 out of 10 children riding in car seats are not properly buckled. According to research conducted by the National Highway Traffic Safety Administration (NHTSA), 7,000 lives have been saved by the proper use of child restraints during the past 20 years. In 2005 alone, among children under age 5, an estimated 420 lives were saved by proper child restraint use. Research on the effectiveness of child restraints show that these devices provide the best protection for all children up to age 8. Join us at the Kid Expo and make sure your children are safe in their car seats. 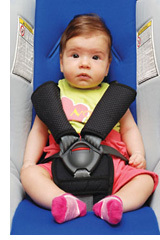 Click here to download a copy of our informative handout on car seats. Gov. Arnold Schwarzenegger signed a law last month making it illegal to read or send text messages while driving in California beginning January 1, 2009. The law imposes a $20 fine for a first offense and $50 for repeat offenders using any electronic devices to read or send messages. Since July, motorists have been required to use hands-free devices, and drivers under age 18 may not use any electronic devices. 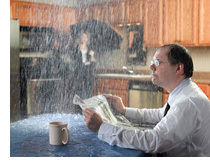 Water is a leading cause of property and structural damage for most homeowners. Supply line leaks and plumbing failures can create spectacular messes that require costly cleanup and repairs to damaged floors, walls, and fixtures. But you can protect yourself. We've compiled a list of automatic shut-off devices designed to minimize damage caused by leaks. And, depending on your homeowners insurance carrier, you may be eligible for a discount on them. If you have any questions or wish to learn about how this will lower your homeowners insurance premiums, please give us a call at ??????? WaterCop automatic shut-off systems automatically turn off the water when a leak has been detected. This effectively reduces the chance of water damage due to common plumbing problems. They can be activated by flood sensors, an optional remote switch or via many types of home security systems. www.watercop.com. 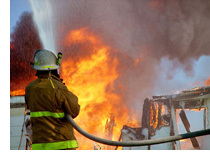 The National Fire Protection Agency recently published its findings from their report on fire loss in the U.S. for 2007. Again, the report demonstrates what a significant danger fire presents in the home. After reading these statistics, take time to protect yourself and your loved ones. Plan evacuation routes in case of a fire. Practice using them. Eliminate common household hazards that can lead to fires, such as improper wiring, or storing flammable materials near an open flame. Fire departments responded to 1.6 million fires last year, the lowest total since 2004. Although the number of fires declined, fire deaths and injuries increased. Fires killed one person every two and a half hours last year. Home fire deaths accounted for more than eight in 10 of all fire deaths. In 2007, fires caused an estimated $14 billion in property damage, a nearly 30 percent increase from 2006. Almost 1.6 million fires were attended by public fire departments, a decrease of 5.2 percent from the year before. 530,500 fires occurred in structures, an increase of 1.2 percent. 414,000 fires, or 78 percent of all structure fires, occurred in residential properties. A residential fire occurs every 76 seconds. 3,430 civilian deaths occurred in 2007, an increase of 5.7 percent. About 84 percent of all fire deaths occurred in the home, an increase of 11 percent. 17,675 civilian fire injuries occurred, an increase of 7.8 percent. 14,000 injuries occurred in residential properties. Nationwide, there was a civilian residential fire injury every 30 minutes. An estimated $14.6 billion in property damage occurred as a result of fire in 2007, an increase of 29.5 percent in 2006. The figure includes the California Fire Storm with an estimated $1.8 billion in property damage. $10.6 billion of property damage occurred in structure fires, excluding structures associated with the California Fire Storm. $7.5 billion of property loss occurred in residential properties, an increase of 8 percent.